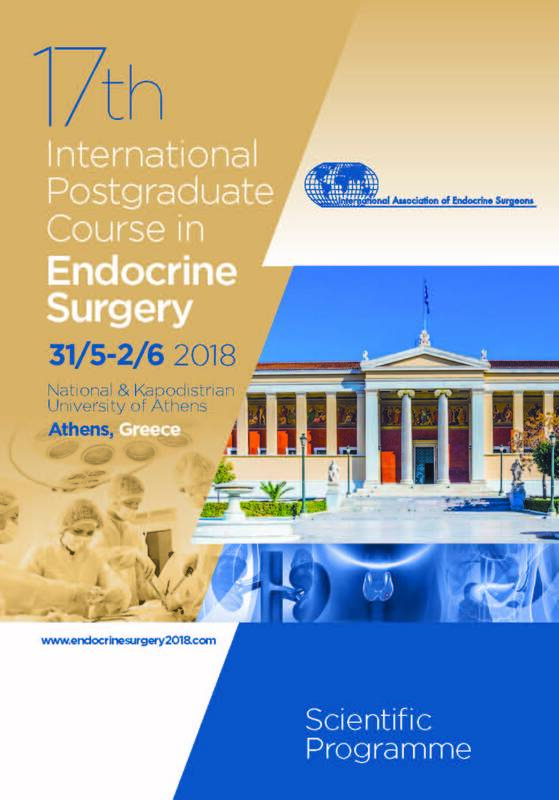 We are very pleased to announce the organization of the 17th International Postgraduate Course in Endocrine Surgery, which will take place at the historical building of the University of Athens from May 31st to June 2nd 2018. The International Postgraduate Courses in Endocrine Surgery, offered by the International Associaton of Endocrine Surgeons (IAES), have an established track record in offering high quality education to participants from all over the world. The scientific programme of the Course consists of diverse presentations by internationally recognized faculty and leading practitioners, debates, and interactive case report sessions. * Participants who will register as “students” need to send to the Course Secretariat a copy of the student card, in order for the registration to be confirmed. The original one must also be presented at the Course Secretariat onsite. The city’s rich classical tradition and its geographical location – at the crossroads of cultures – have always lent it a formidable platform for artistic expression. That high regard for the arts continues today, with a mushrooming of modern innovations. Every year, the city’s cultural calendar presents exhibits and festivals of international scope, original productions and notable artistic happenings.